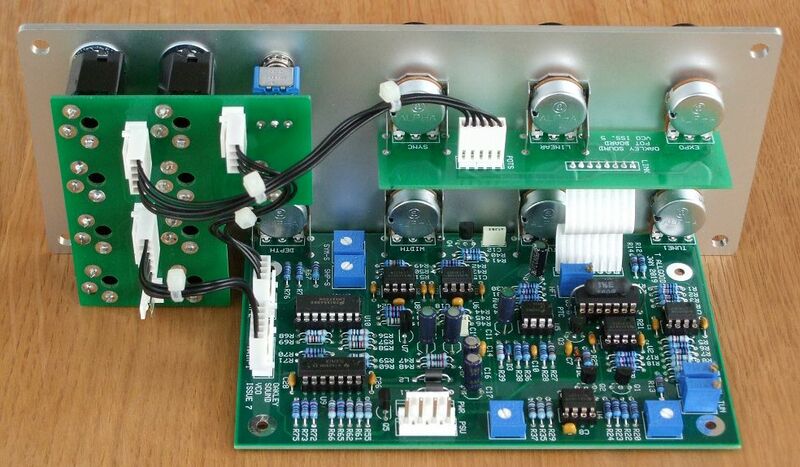 Issue 7 boards are compatible with older issue pot and socket boards and hardware. They are slightly less deep at 89mm and the PCB is now a four layer design. The circuitry is pretty much the same as issue 6 but due to the deletion of the DIL version of the LM723 I have had to change the onboard 10V supply. The new 10V supply is accurate enough not to require a trimmer as before. The Builder's Guide should be available in the next week or so.